Select options. All fields required. 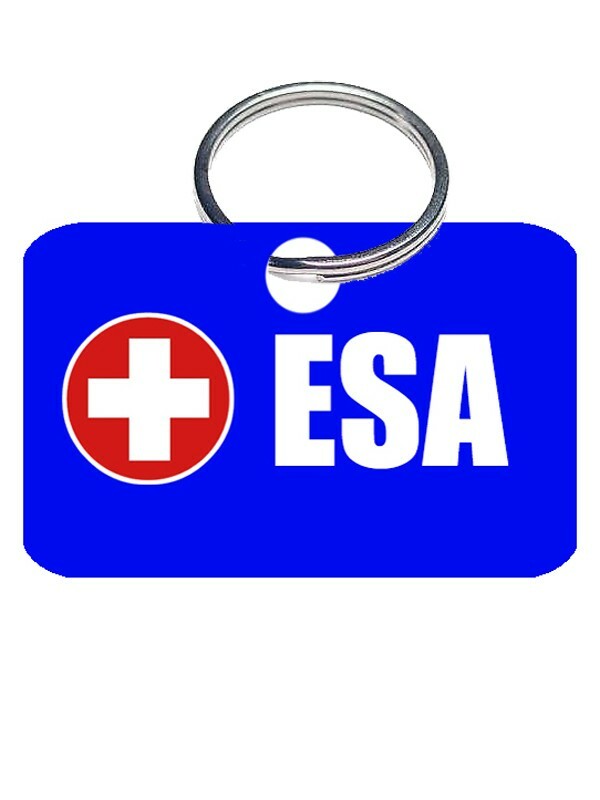 Printed on both sides, this visually striking ESA ID tag quickly identifies your animal as an ESA with National Service Animal Registry. The non-metal 30 mil PVC construction naturally makes these tags extremely quiet, and their durability enables us to guarantee them for LIFE! Our ESA collar ID tags come with the split ring already attached, so it's easy to attach it to your emotional support animal's collar to help legitimate it's look! Choose 1, 2, or 3 tags. Small tag: 1" x 1-5/8"
Large tag: 1-1/8" x 2-1/8"
Not just your average dog-type tag, our lightweight 30 mil PVC ESA collar ID tags are built to last. 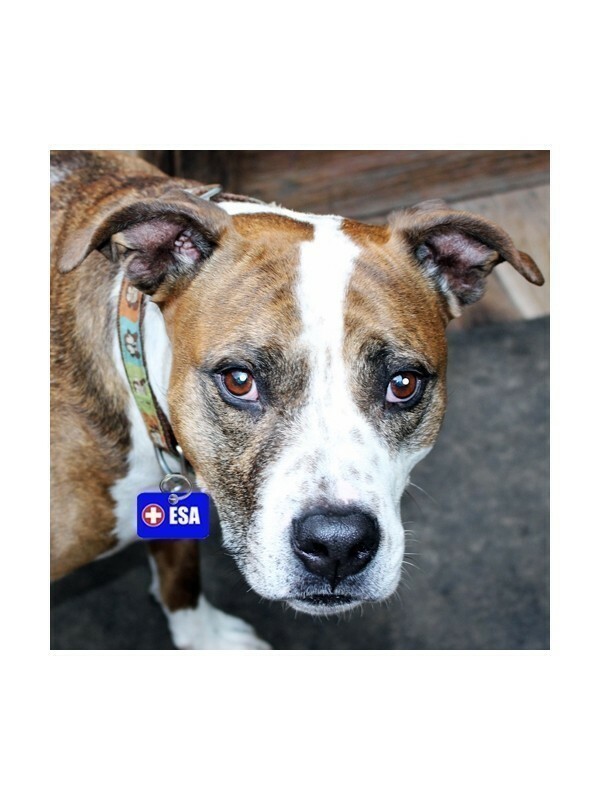 Highly visible, these collar ID tags help others to quickly identify your ESA as your working companion. NSAR backs every purchase with a 30-day No-Risk money back guarantee!